Watch Out, This Toxic Ingredient Could Be In Your Baby Wipes! - I Am Proud Of My Kids! Dealing with rashes won’t be new to you, but, severe allergy due to baby wipes would be shocking news for all the parents. 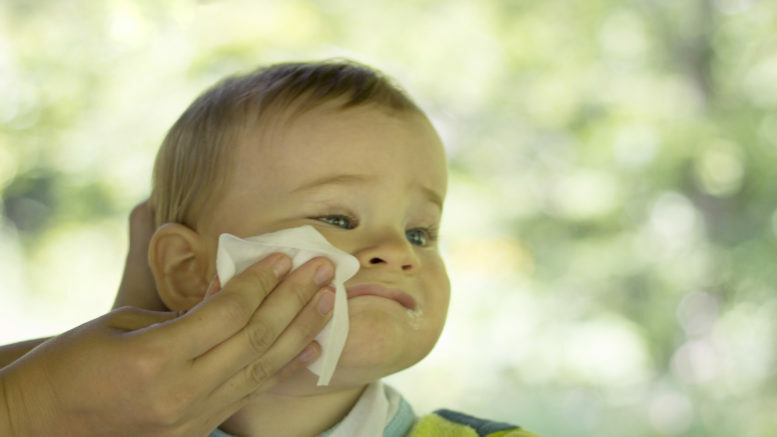 It has been reported by most of parents that particularly baby wipes are causing the allergic reactions. So, what is the ingredient causing such skin disorder? Few baby wipes contain the preservative; Methylisothiazolinone (MI), which is the hidden component. If it left on the baby’s skin, it can be detrimental to the skin’s integrity. Some makeup products, including lotions, shampoo, conditioners, and creams contain the MI, but, it is in smaller concentration, so it won’t be extremely harmful to the person. Hence, smaller concentration is the safest option, but, still, it should be avoided in the baby products. In fact, European Union also banned the use of MI even on leave-on products, like cream or lotions due to its adverse effects. Bigger brands selling baby products have just eliminated this ingredient from their products. So, before adding the best baby wipes in your cart, you should take a look at what contains in the baby wipes. Even double check the ingredients list of products claiming all-natural ingredients. Just remember prevention is far much better than cure! Be the first to comment on "Watch Out, This Toxic Ingredient Could Be In Your Baby Wipes!"